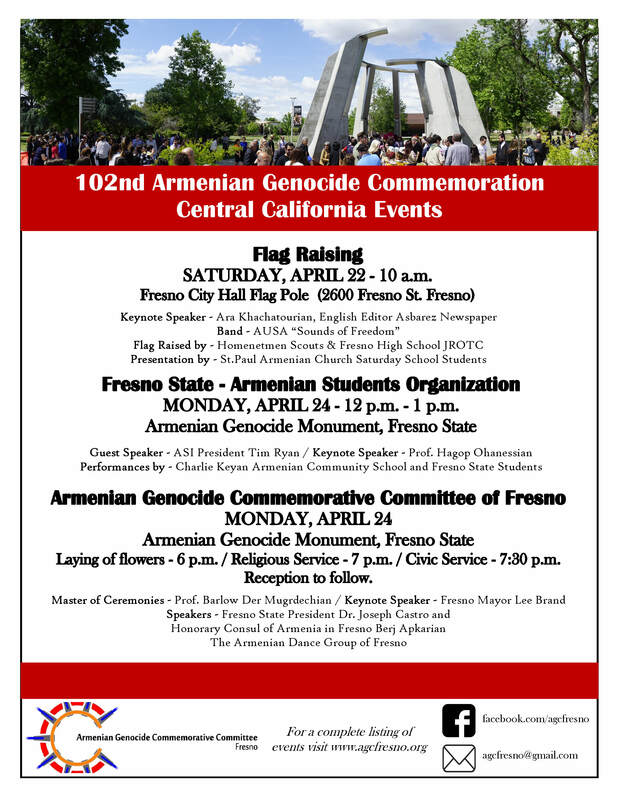 The 2017 Armenian Genocide Commemoration program will be held at the Genocide Monument site at CSU Fresno, on Monday, April 24, from 6:00-8:00 p.m. No activities scheduled for Sunday, April 23. The Commemoration program will include a religious portion that begins at 6:00 p.m. Barlow Der Mugrdechian will be the Master of Ceremonies. The Homenetmen Scouts will present the Armenian and American flags. Both the Armenian and the American national anthems will be sung by the Charlie Keyan Armenian Community School children. An opening prayer will be said in English and Armenian. Hrayr Dajad will lead the religious portion of the program with clergy from the other participating churches. 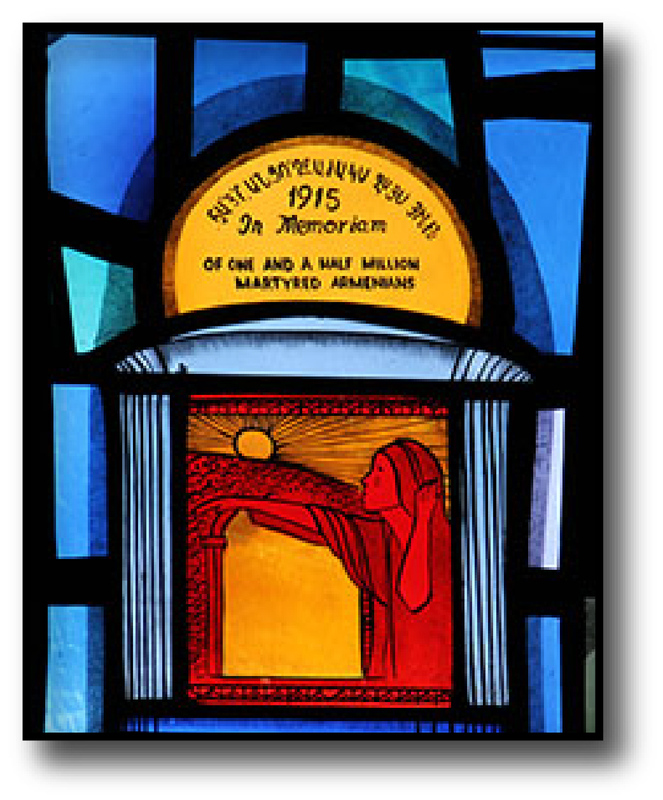 Two sermons – one in English and one in Armenian – will be performed.